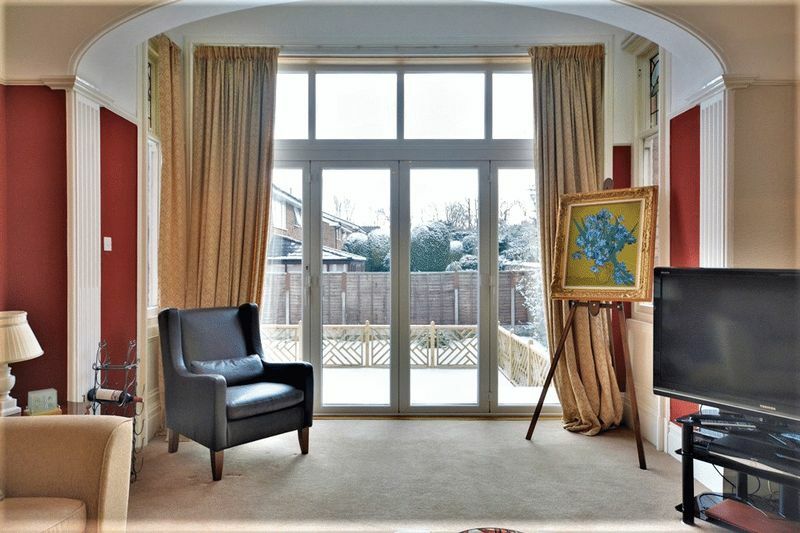 Upvc double glazed double doors, tiled flooring, door to entrance hall. 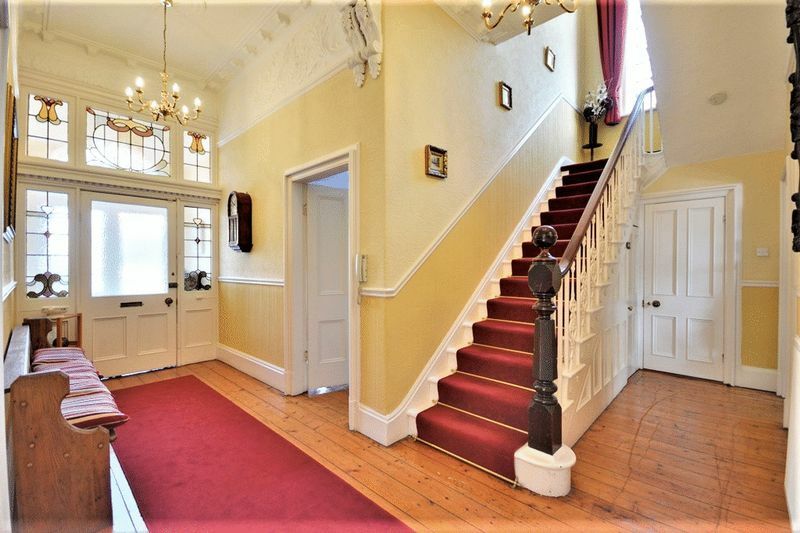 Spacious and bright entrance hall, high Victorian ceilings with ornate decorative coving and ceiling roses on the walls and ceiling. 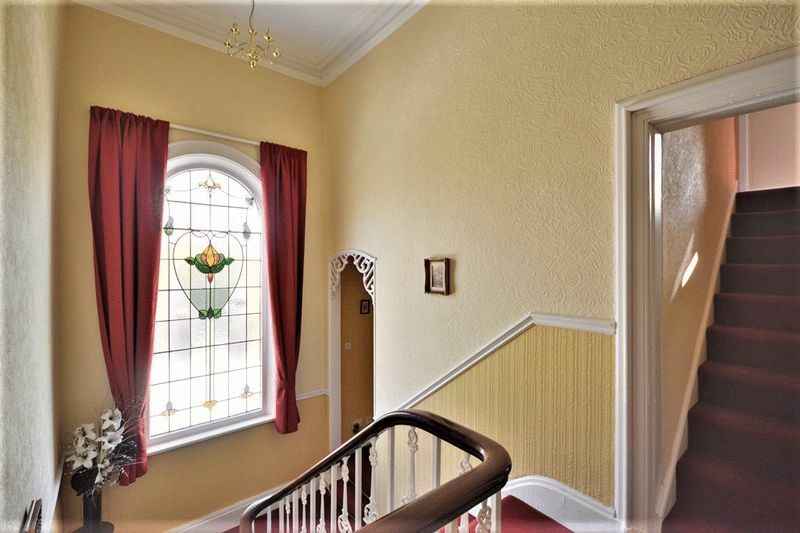 The front door is framed by traditional stained glass windows matching the one situated at the top of the stairs lending light to the hall. 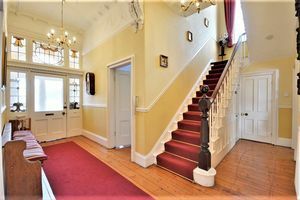 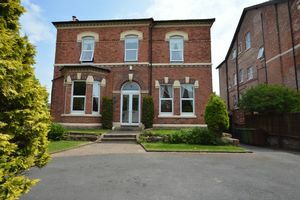 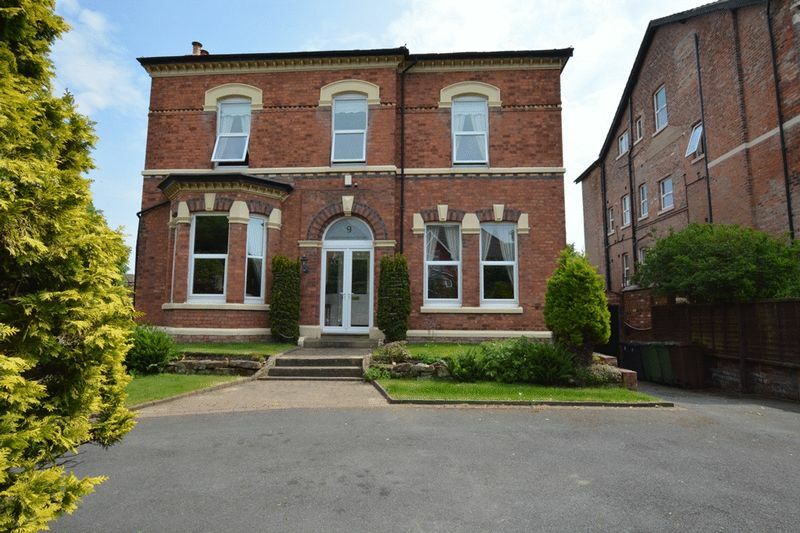 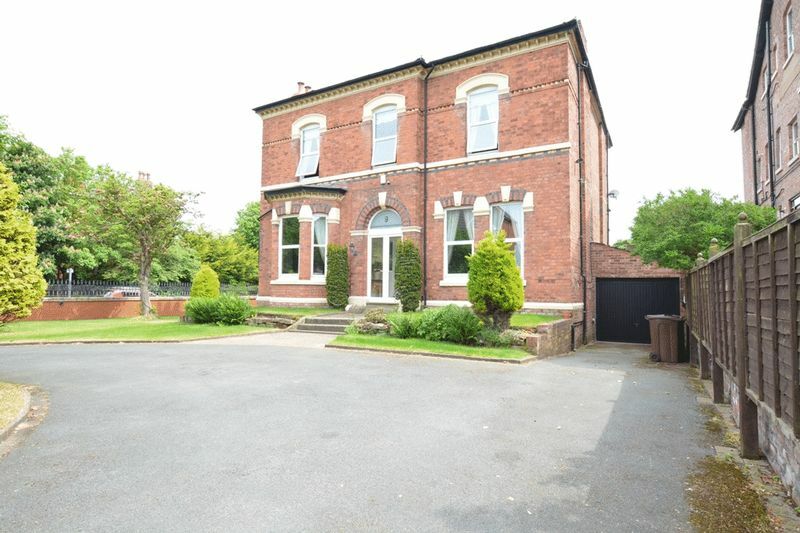 Original treated floorboards, doors to living room, dining room, rear reception room, kitchen, WC, stairs to basement and first floor. Radiator to rear. 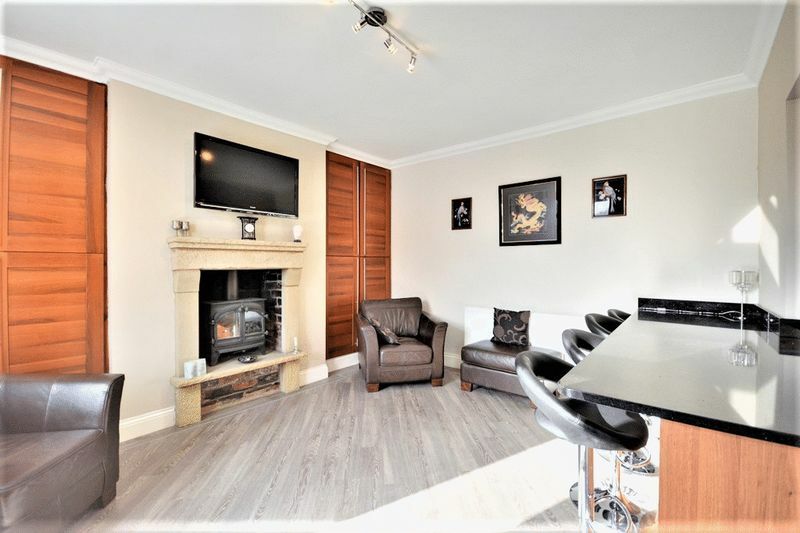 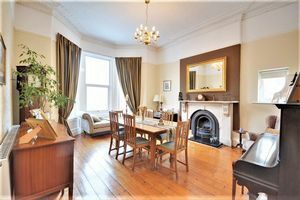 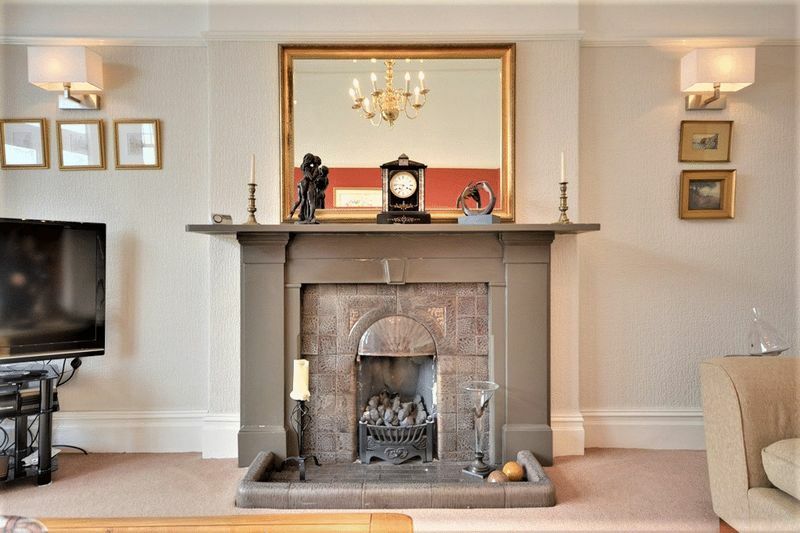 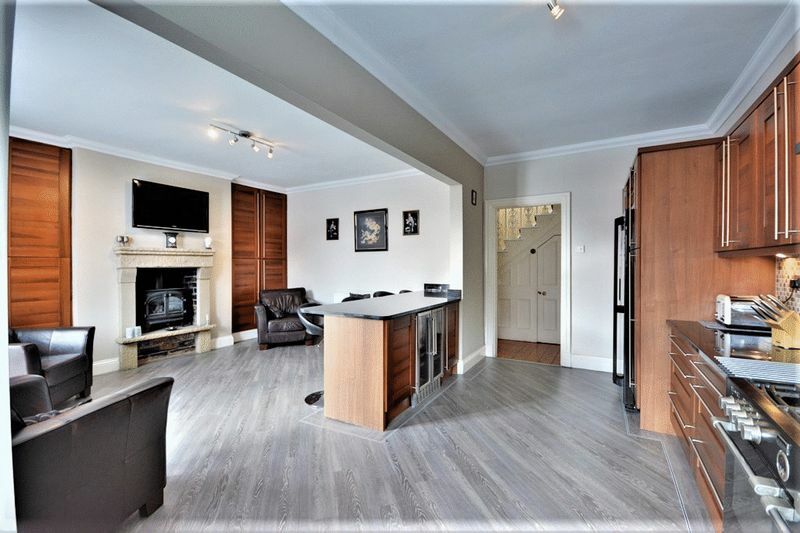 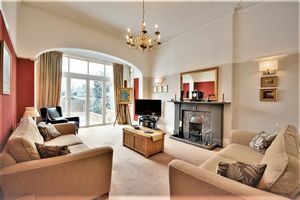 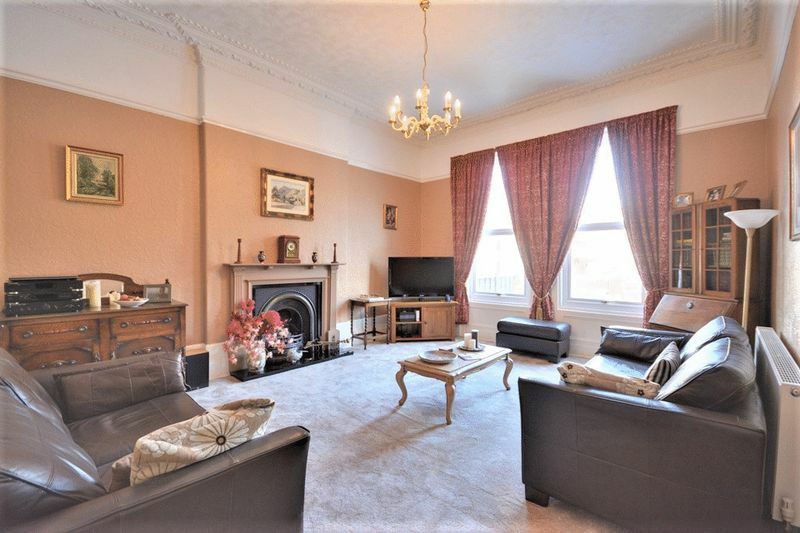 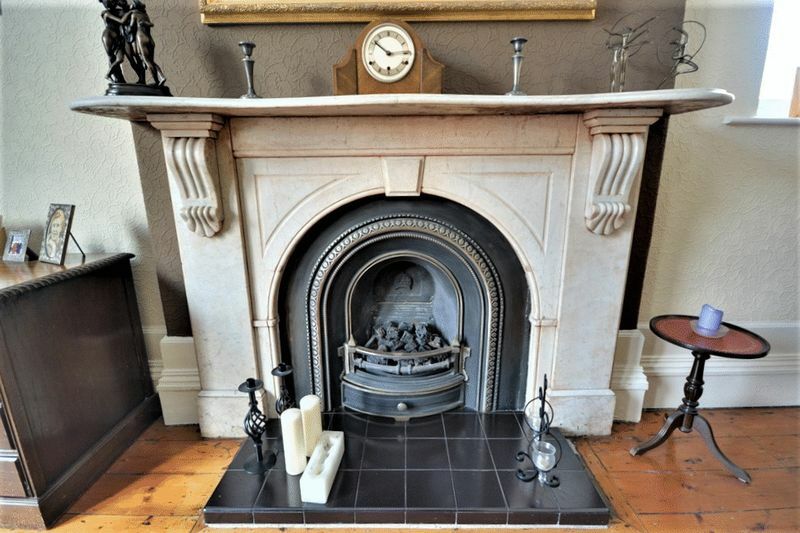 Spacious family living room with two windows to front, radiator to side, fitted carpet, cast iron gas fire to side with decorative wooden surround and decorative coving to the ceiling. Dining room with bay window to front, exposed floorboards, radiator to side, cast iron gas fireplace with marble surround and tiled hearth. Coving to ceiling. 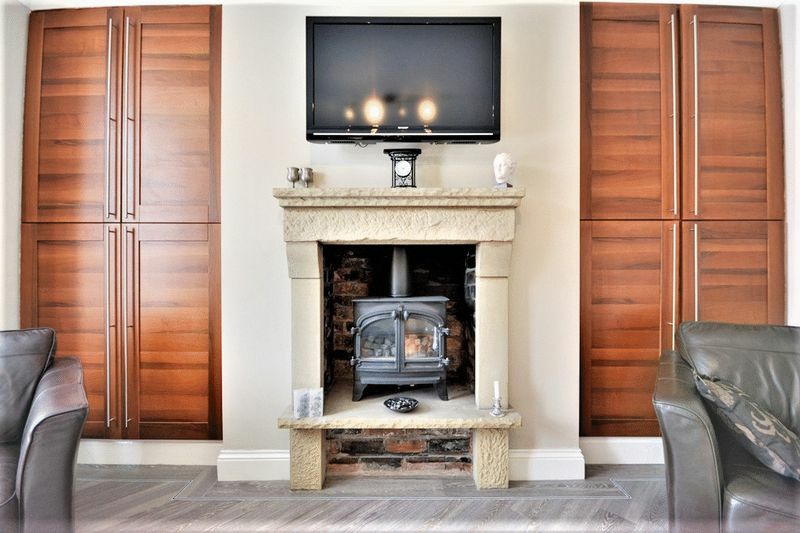 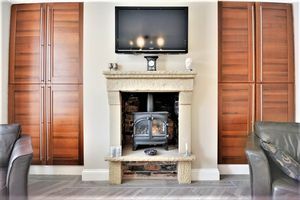 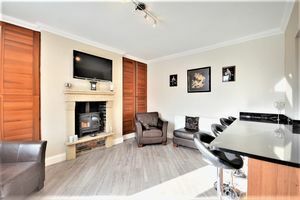 Sitting room with fitted carpet, radiator to rear, double doors within full length and width windows to rear, gas fire to side with stone and tile surround and hearth. To the rear of the room are two matching stained glass windows to each side. 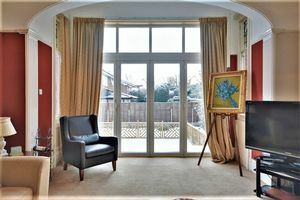 Window to rear, karndean ash wood effect flooring, open plan onto living area. 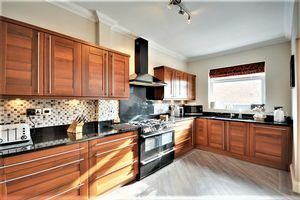 Modern fitted kitchen with tiled splash back, a matching range of base and eye level solid wood units with underlighting, integrated dishwasher and mixer sink, freestanding double 'Stoves' oven with 9 gas hobs and extractor hood, granite worktops, space for fridge freezer and matching kitchen island/breakfast bar with intgerated wine cooler. 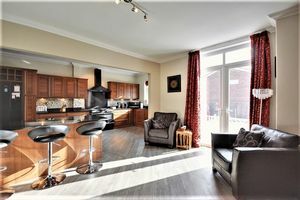 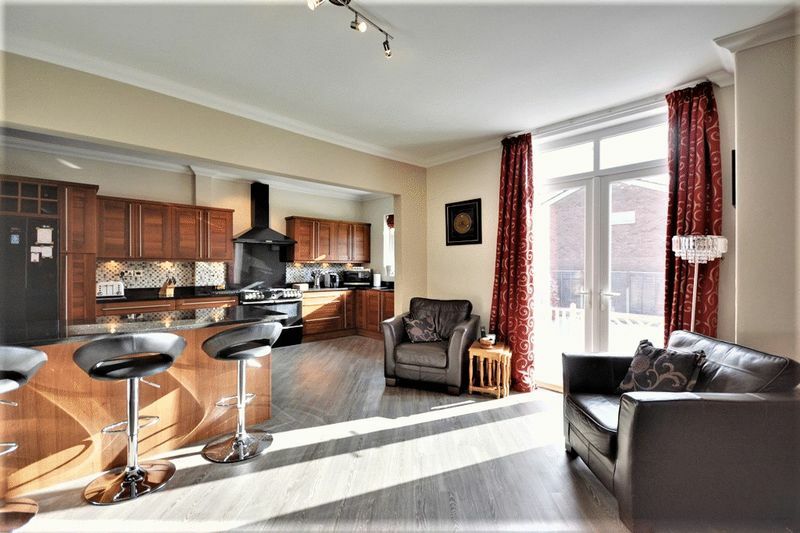 Living area open plan onto kitchen with breakfast bar/kitchen island, radiator to rear, fitted integrated storage cupboards either side of the gas fire with stone surround, karndean flooring, and double doors onto patio. 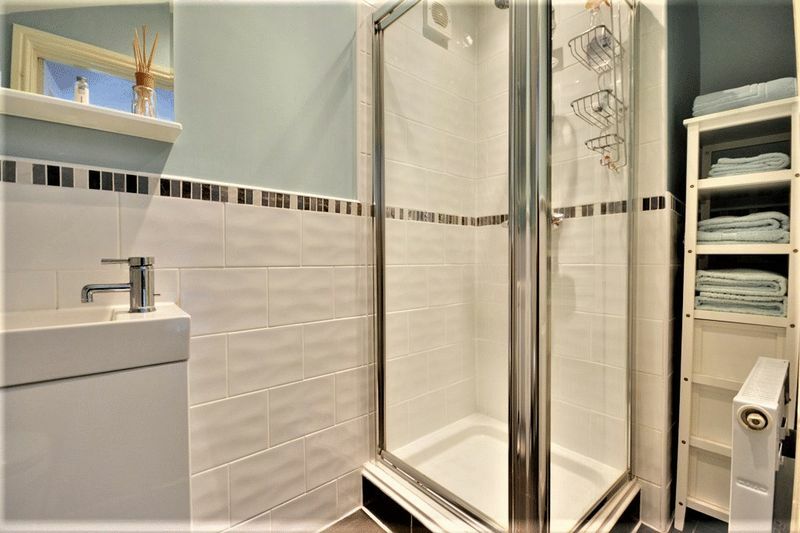 Tiled floor, window to side, partially tiled walls, radiator to rear, wash hand basin and WC. 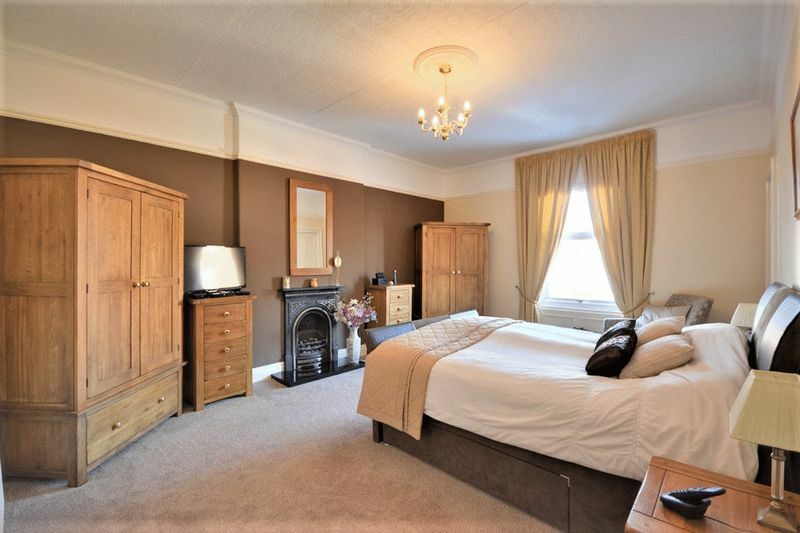 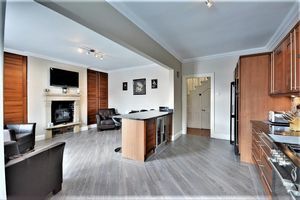 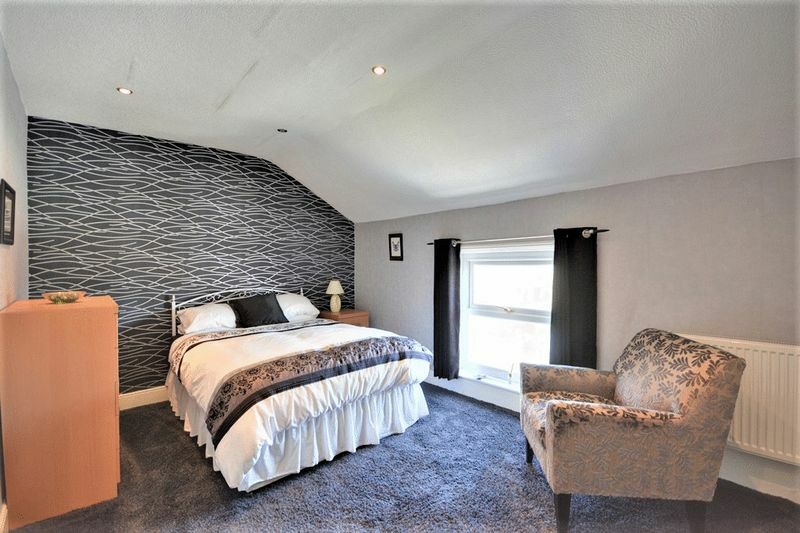 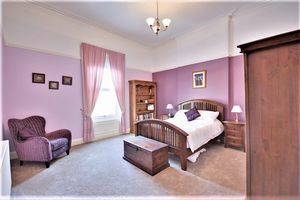 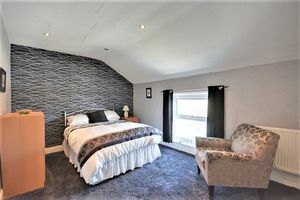 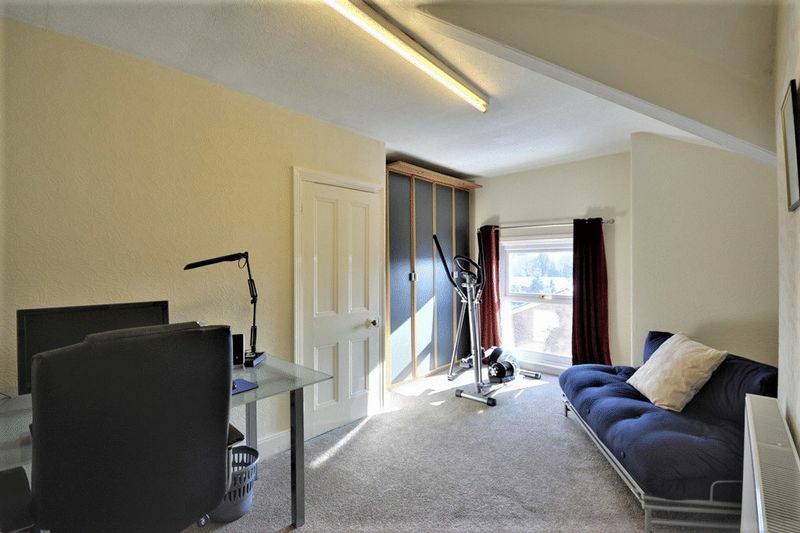 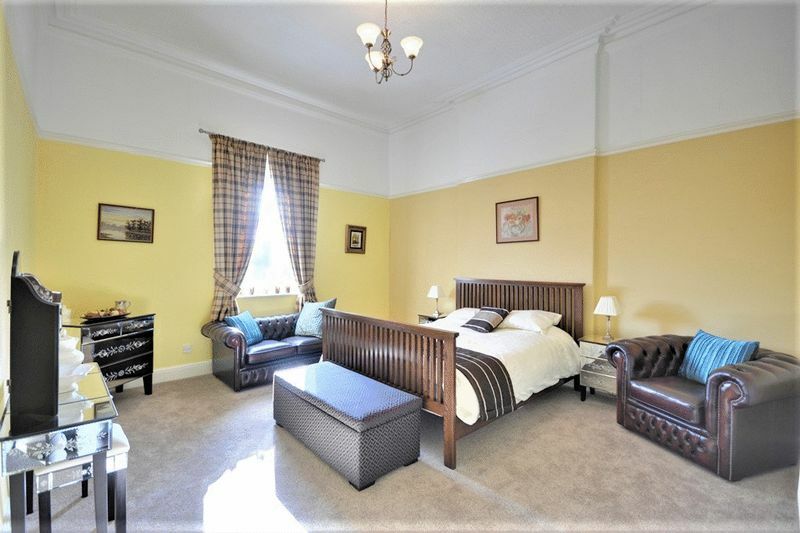 Double bedroom with window to front, radiator to rear, cast iron fireplace to side, fitted carpet, door to en suite bathroom and ceiling rose. 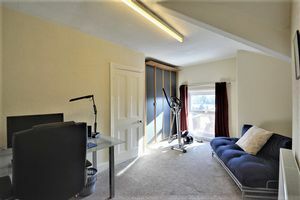 Double bedroom with fitted carpet, window to front, radiator to side. 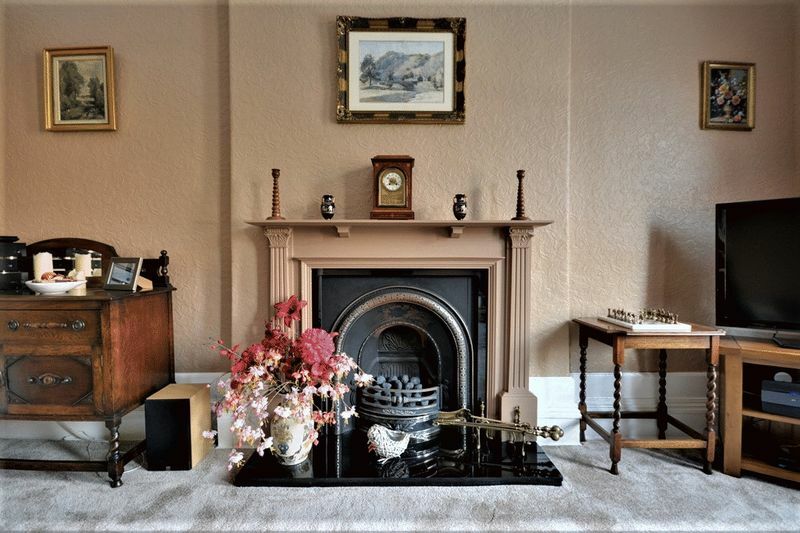 Fitted carpet, window to rear, radiator. 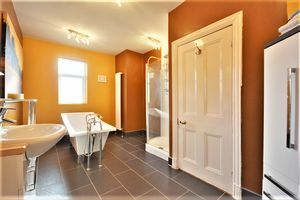 Inner hallway with doors to family bathroom and fourth bedroom. 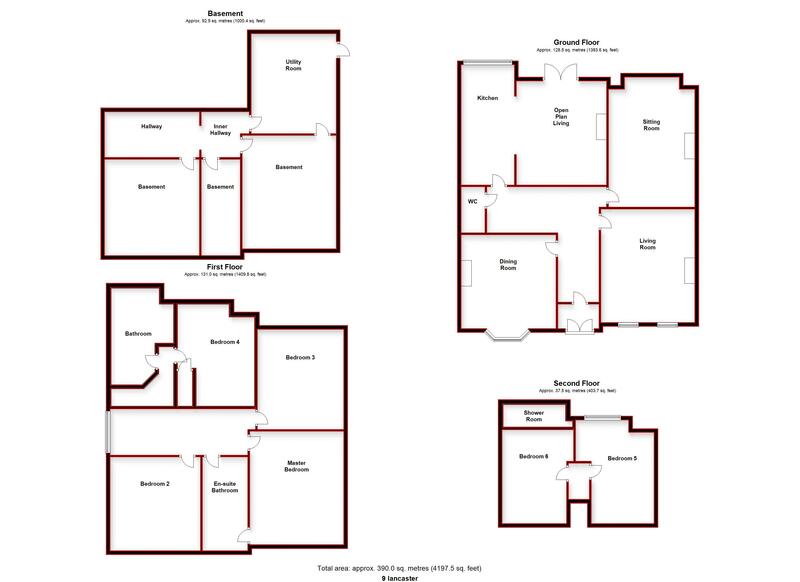 MEASURED TO FURTHEST POINT: Bedroom with window to rear, radiator to rear, fitted carpet, door to under stair storage. 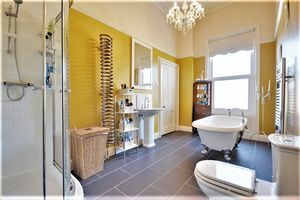 MEASURED TO FURTHEST POINT: Family bathroom with window to rear and side, slate tile flooring, wall mounted vertical radiator to side and radiator to front, vanity unit with integrated wash hand basin and tiled splashback, free standing square ba and corner shower. MEASURED TO FURTHEST POINT: Bedroom with fitted carpet, radiator to side, window to rear. 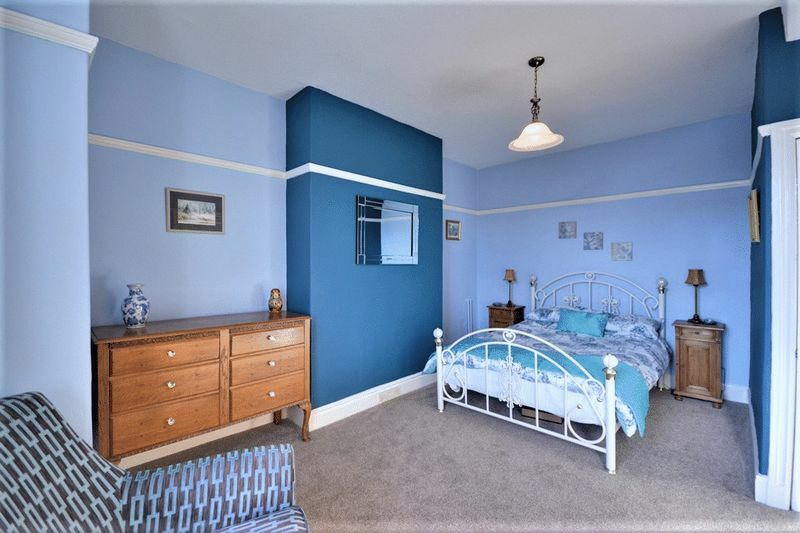 Bedroom with window to side, fitted carpet, radiator to side, door to shower room. 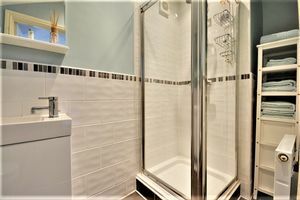 En suite shower room with partially tiled walls, radiator to side, tiled flooring and three piece suite comprising, WC and corner shower. 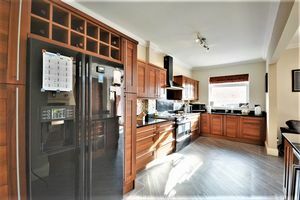 Utility room with fitted work surface, space and plumbing for under counter appliances, two radiators. 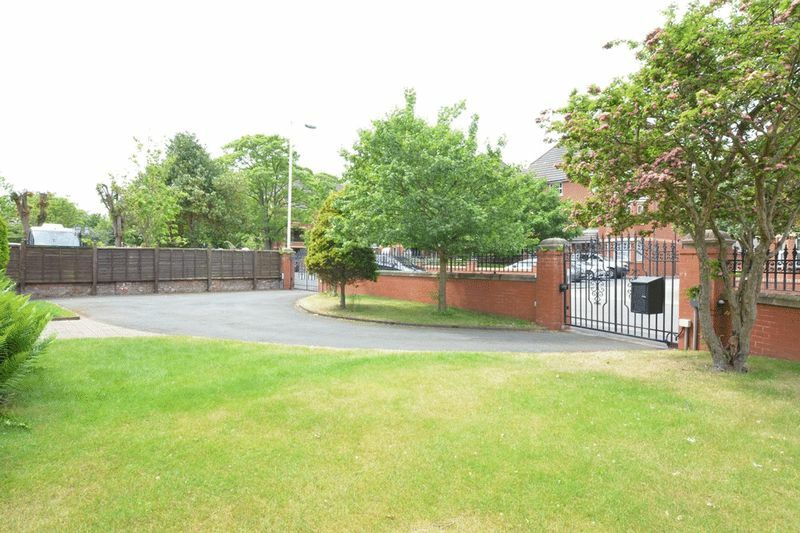 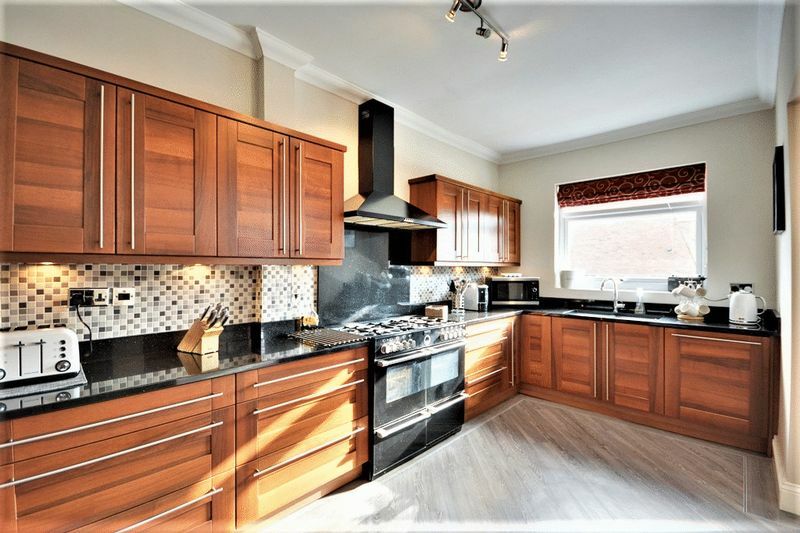 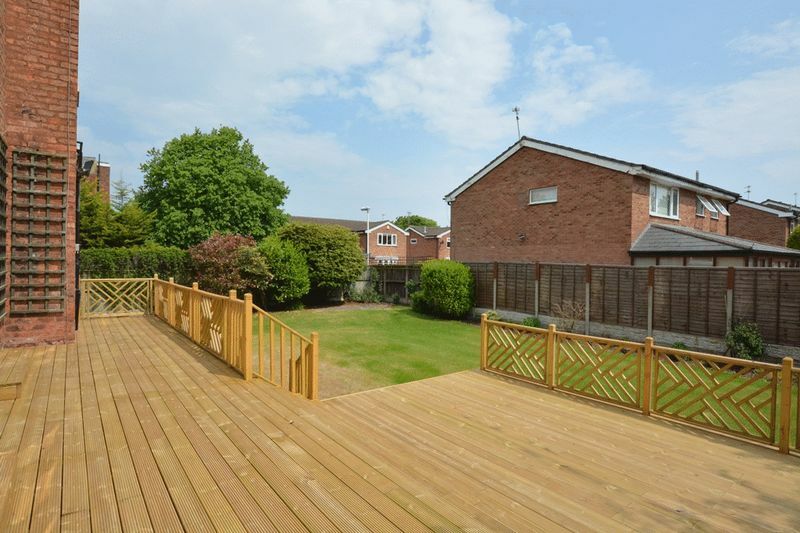 Spacious in and out tarmac driveway to front with automatic electric gates, door to garage, grass borders with a range of established trees, plants and shurbbery, steps up to front of property. 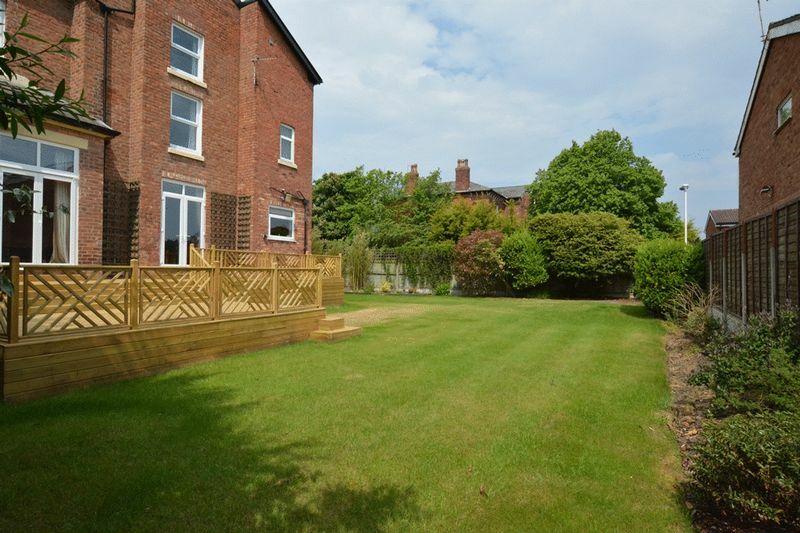 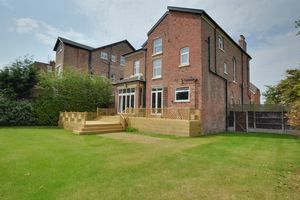 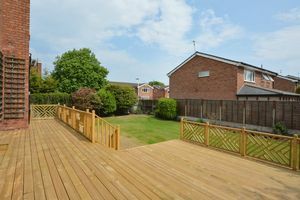 Lawned garden with established borders, large rasied timber decking patio, access to front garden and garage. 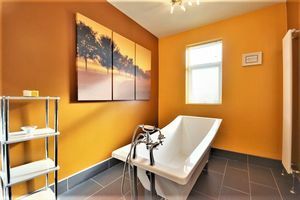 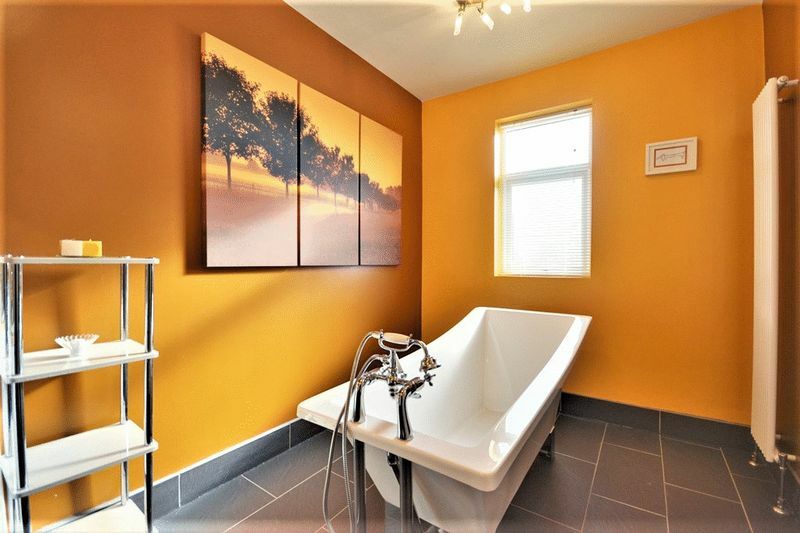 Master En Suite bathroom with window to front, tiled flooring,m partially tiled walls, heated towel rail, pedestal sink ,free standing bath, WC and corner shower. 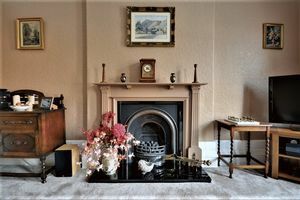 Leasehold: 999 years from 29th September 1918. 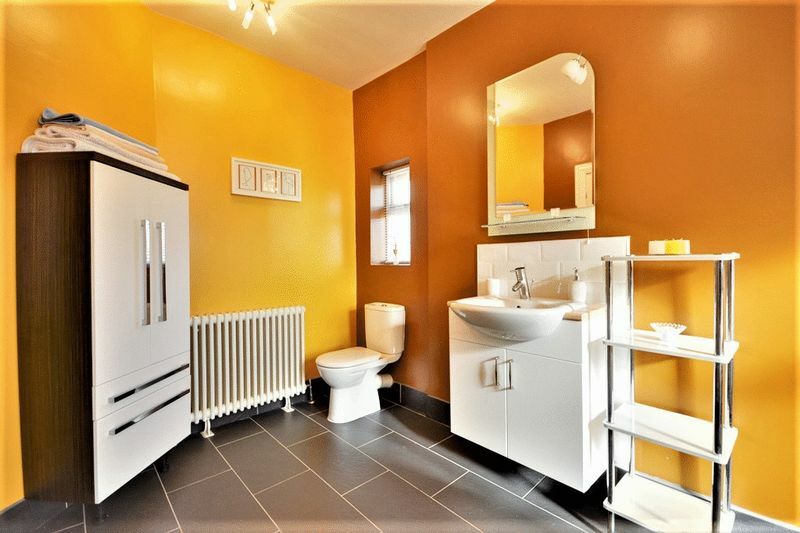 Ground Rent: £9 per annum.